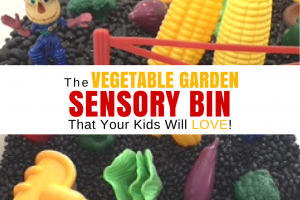 Are you looking for great sensory bin ideas for kids? 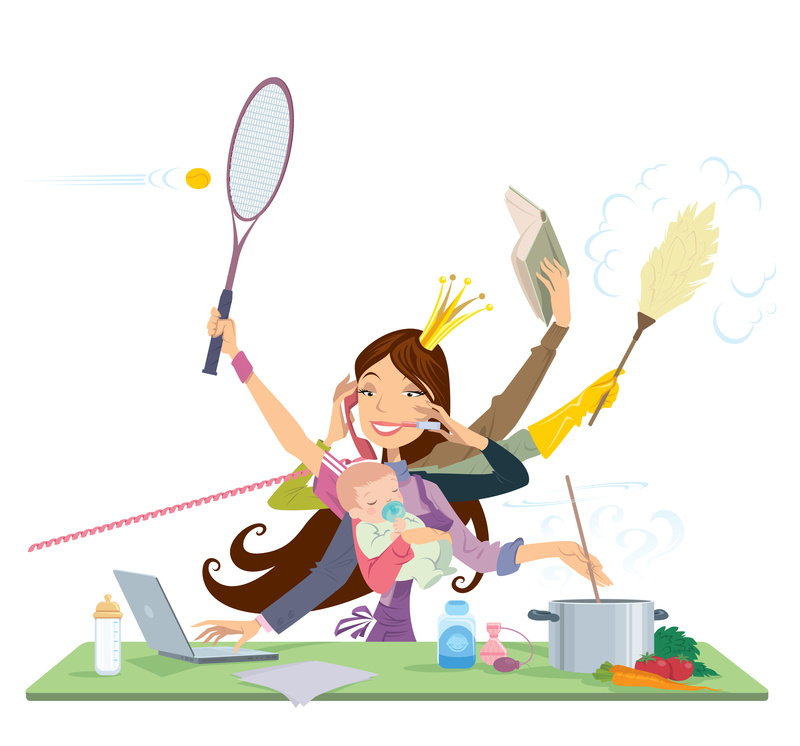 Are you looking for fun day at the beach crafts and activities? 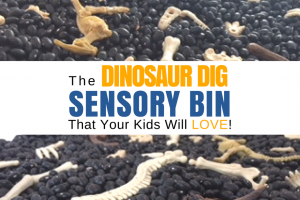 Your child will love this day at the beach sensory bin! 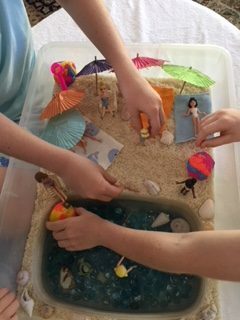 Feel the grains of rice slide through your fingers like sand, splash the blue water as your toys play in the ocean, feel the smooth shapes of the beach shells. My kids love the beach! 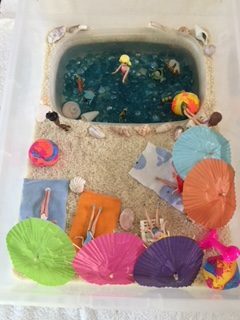 So I thought, why not bring the beach to them? 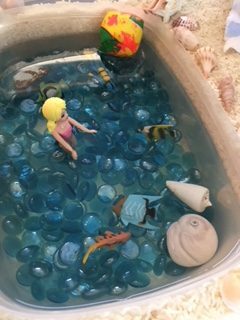 This day at the beach sensory bin is a great way for them to pretend play and to let their dolls and toy animals spend the day at the beach! 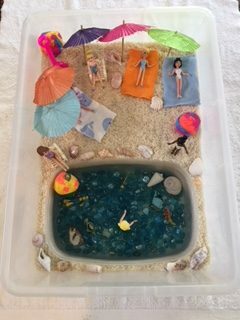 First you need a bin to create your beach scene in. Next gather all of your beach items! 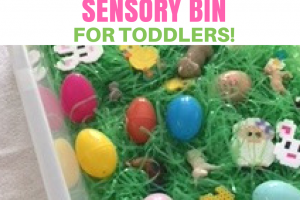 Before you start assembling your sensory bin you need to make your beach towels. 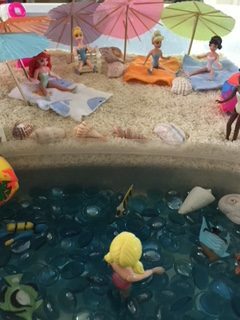 I used old baby washcloths to make our beach towels. I cut them so that they would fit the miniature barbie dolls. You can find baby washcloths here or you can use any cloth that you have on hand. 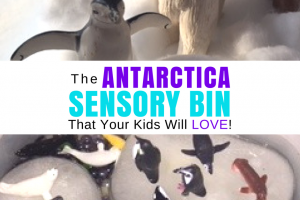 Start by adding your Glass Gems to your small plastic bin. Then add your beach toys! 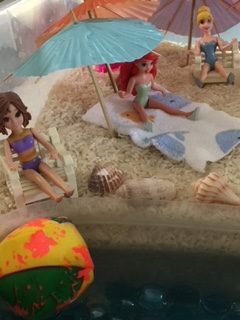 Position your beach umbrellas, beach towels, shells and barbies in the sand. 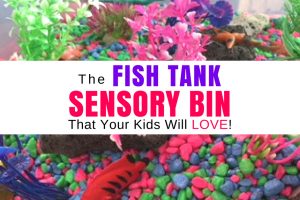 Add your fish to the water along with a few shells and you’re ready to play! 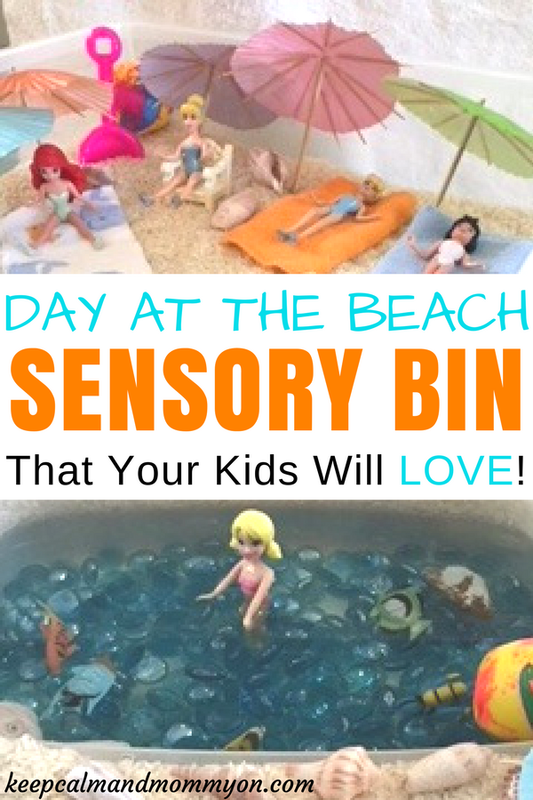 I hope you and your family enjoy the Day at the Beach Sensory Bin as much as we did! 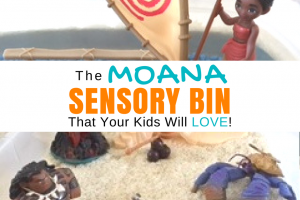 Which items will you add to your Day at the Beach Sensory Bin? 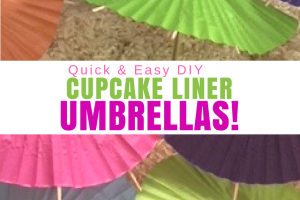 « How To Make Paper Umbrellas Out Of Cupcake Liners!